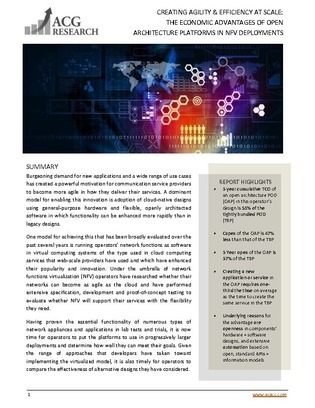 Communication service providers have started embracing more agile service delivery platforms to deliver more applications. One model for achieving this is network functions virtualizations (NFV). This ACG research report details NVF in service provider’s environments and reveals its strengths in determining the economic advantages on both cost and revenue-generating aspects of designs.